Not every home improvement has to be big, bold and expensive to have an impact. Here are seven easy—and affordable—ways to add style and convenience to your home. When it comes to improving your home, not everything has to be costly demolitions and additions. There are plenty of small steps you can take that will breathe new life into nearly every corner of your home while keeping your walls, floors, windows and bank account intact. Here are seven of our favorites. There was a time that updating a home meant removing—not installing—wallpaper. But there are some new dazzling options available that can revitalize even the dullest room. To keep costs down while simultaneously adding a true designer’s touch, paper only one accent wall. It’ll become a focal point that will make the room feel fresh and modern even if you don’t have the money to update your furnishings. Bathroom and kitchen remodels can be messy, costly affairs. 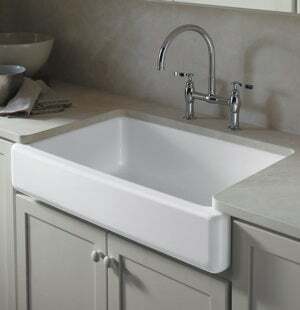 You can, however, get a lot of the remodel bang for less bucks simply by swapping out a sink. In the bathroom, this will usually require changing the countertop as well, but that gives you even more room to make things interesting. Copper, glass, and porcelain basin sinks that sit on top of countertops have come down in cost and really add flair. In the kitchen, consider a deep-basin farmhouse-style sink or something made from industrial materials like concrete or stainless steel. To really splash out, change your faucets as well. Without doubt, painting is the lowest-cost, highest-impact project you can do yourself to spruce up your home. Get extra mileage out of each gallon by using your creativity. Consider painting ceilings a dramatic color; use painter’s tape to mark out stripes on the wall and paint them with a slightly lighter or darker shade; or use stencils to create unique patterns and designs. Simple geometric shapes painted on the wall around a mirror, shelf, or piece of art are sure to gets lots of compliments and “wish I’d thought of that” moments from your guests. Running new lights in the rooms of your home usually requires the services of an electrician and can get pricey. But swapping out fixtures is something even a causal DIYer can handle. Always make sure you turn the breaker off to the fixture you’re working on, then feel free to let inspiration be your guide. Search salvage shops and antique stores for chandeliers you can update with new glass pendants; swap an ordinary fixture on the ceiling for a dramatic ceiling fan; run new track lighting; or update old wall sconces with sleek modern replacements. If the idea of working with electricity is a little too shocking for you, you can have good design success simply by replacing shades on wall, ceiling, and tabletop lights. If you’ve been putting off the installation of a doorbell because you don’t want to pay an electrician to break into the walls to run wires, consider installing a wireless model. The bell mounts by your door and the receiver (the part that makes the noise) goes inside the house and can receive a signal hundreds of feet away. 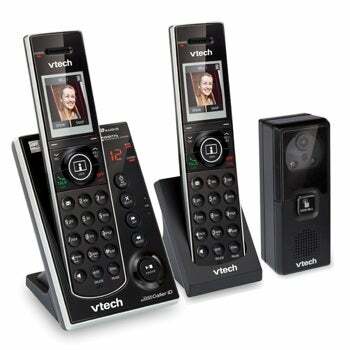 To really go high tech while keeping things low cost, install the video doorbell phone system from VTech. The bell acts as a small camera, transmitting a photo or video of the person at the door to the small screen on the phone. You can talk to your visitor through the built-in intercom or simply choose to let him or her come back another time. The phone even captures and stores still images of anyone who stopped by during the day. And there’s a great night vision feature that lets you see who’s calling even if it’s dark outside. Best of all, you get two phones with the integrated video intercom for less than the cost of some phone-only systems. Depending on your needs, this is a project that can bring both cosmetic and practical benefits. Cosmetically, if your kitchen or bathroom cabinet doors look dated, simply remove them, sand or strip, and repaint or stain in the color of your choice. If the cabinet surfaces don’t need a revamp, a simple swap-out of hinges and handles can go a long way. For the practical benefits, consider placing drawer rollouts in the kitchen. These easy-glide space enhancers let you store things like pot lids and plastic containers in a smart way and provide easy access when needed. In closets, get things organized with new shelves, cubbies, and hanging rods at different levels. Your home improvement store likely has aisles of ideas. Building decks, patios, and gazebos takes a significant investment of time and funds. 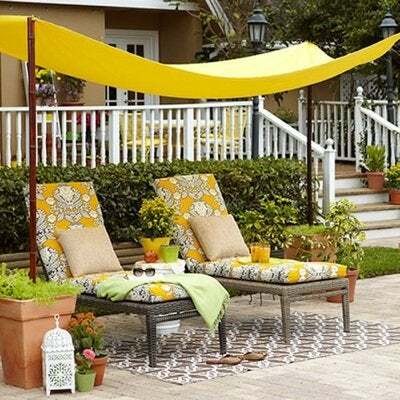 However, you can easily create a special space in your backyard by purchasing a free-standing canopy. Basic models are available in the $100 range, while more deluxe models can go up to $1,000 (compared to the cost of a more permanent structure, you’ll still save). Put a picnic table underneath your canopy, line the borders with flower pots you can buy at salvage yards, and you’ll have a unique refuge that’ll make you feel rich and famous, even if you didn’t pay celebrity prices to create it. This post has been brought to you by VTech. Its facts and opinions are those of BobVila.com.